Priceline has decided to give a refund to a Minnesota family for a $516 car rental for an "unusual situation" involving the renter, who was a 9-month-old baby. 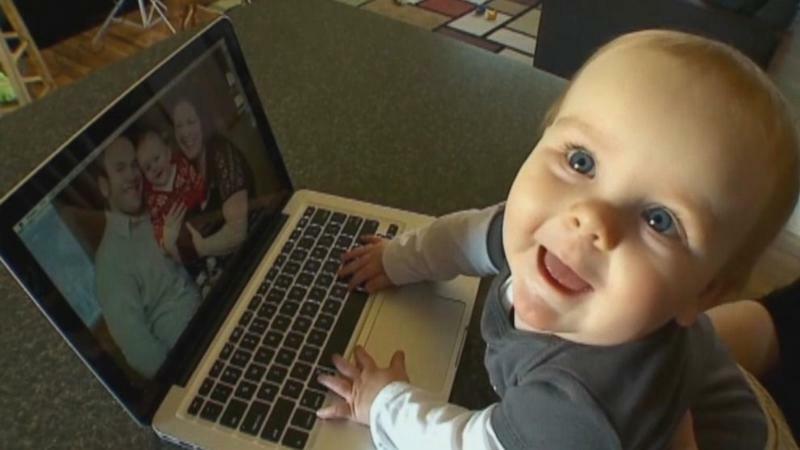 Mandy Ellingson of Big Lake Minnesota said her son Daniel was sitting in her lap when she was shopping for car rentals for an upcoming family vacation on her laptop. Also on the phone with her in-laws who had found a better deal, Ellingson said she leaned over to delete her information on the Priceline website, but instead her baby completed the purchase. Ellingson, a teacher, said she was in "complete shock" at her baby's major purchase on March 9. "I thought, 'Did he really just do that?' It was that shocked feeling, like, I can't believe it happened. So that's why we got on the phone right away and tried to fix it," said Ellingson, 27. But Priceline said the purchase was "non-refundable and there's nothing they can do," Ellingson said. "They kept saying that I booked it -- but I told them, 'I didn't book it. My baby booked it,'" Ellingson recalled. After a story aired this week with their local CBS affiliate, Priceline reached the Ellingsons on Tuesday and offered a "one-time exception" for a full refund. A spokeswoman for Priceline said the company is able to offer deep discounts due to relationships with suppliers. But in this instance, she acknowledged the "unusual situation." Ellingson said she is "thankful" to Priceline for the refund. Ellingson said her baby was never allowed to play with her iPhone or iPad, which is why he may have been intrigued by the device in front of him that day. "If it's something he doesn't get to play with, it's something shiny and bright," she said. As for her car rental, she said her family will likely make a reservation tonight for their vacation to Hawaii in June.